Our markets are driven by Utility Power Companies, Federal, State, Local Governments, homeowners, and commercial business who understand the futures ever-rising cost of energy. Understanding their need to reduce carbon footprint, recycle, and conserve energy will save real money. With financial assistance available; there is Stimulus Federal Tax Credits, Incentives, and Rebates to inspire homeowners and businesses to go green, make changes, by design, replace, retro fit, or integrating alternative products help cure high electrical bills. Heating And Air Conditioning (HVAC) products and solutions we offer Residential and Commercial, New Construction or Retro Fit, Evaporative Fluid Cooling Towers, Evaporative Subcooling Towers, Evaporative Condenser Cooling Towers, Geothermal Hot Loop Towers, HVAC Retro Fit Kits, Mr Cool Heat Pumps Mini Splits Do it yourself packages. Full line of Mr Cool Home Air Conditioning Heat Pumps Systems, Packaged and Split systems are available. Geothermal Heat Pumps we offer Water Source Heat Pumps, GeoCool Geothermal Heat Pumps, Miami Heat Pumps, Geothermal Water to Water Heat Pumps, Geothermal Hydronic Fan Coils, Geothermal Split Condenser Systems, Geothermal Installation Accessories, Pump Packs, Buffer Tanks, Ground Loop Manifolds, Ground Loop Pipe, Parallel Pipe Fusion Headers, Alt 180 Fusion Header, Fusion Fitting's, Geothermal Do it yourself Heating and cooling packages for Ground or Lake & Ponds. Lighting we offer products and solutions, Residential or Commercial, New Construction or Retro Fit, a full line of individual designed Smart Systems, Motion Sensors, Interior or Exterior Fixtures, and Lighting energy saving accessories. Hybrid HVAC products and solutions we offer Residential or Commercial, New Construction or Retro Fit, Subcooling Tower to integrate with swimming pools, complete packages with pumps, housing, split exchangers, and condensers, multi-zones no problem. River - Lake - Pond heating and air conditioning products and solutions , New Construction or Retro Fit applications, Hybrid Heat Exchange Coil, Pump, Housing, split exchanger, condenser. Complete package, multi-zones no problem. ThermCo Energy Systems distinguishes itself in today’s demand driven market as a leader in providing energy saving products. With new technology testing, developing, manufacturing, and installations constantly changing, we offer ultra-efficient and energy saving solutions. Our Products and Solutions are innovative and proven. Our products technology is compelling; with designs and models to help residential homeowners and commercial businesses solve today’s high energy cost. Energy Consultations, Homeowners, and Businesses alike all know the Heating & Air Conditioning is the biggest part of their electric bill, and then second is the lighting. We can deliver REAL solutions to reduce energy consumption. Homeowners know energy saving products will put money back into their pockets and Businesses know every dollar they save in energy cost will go straight to the bottom line. Wind Power Energy Systems: Our packages are fully integrated, plug ’n produce design, including a high efficiency generator, integrated inverter, and wireless performance monitor. Solar - Thermal: Several options are considered with utilizing a thermal model. Just to heat hot water or to heat your pool. Systems are available to do both. Depending on the overall energy saving design you can incorporate a package to do all, hot water, heat a swimming, and HVAC system. We have solutions! Solar - Photovoltaic: Solar electric systems are designed to be compatible with a wide variety of roof types and materials. These systems feature solar kits that can be integrated to meet a wide range of power requirements. The systems are ideal for both new construction or retrofit applications and are quick and easy to install. Our solar electric systems come with all the components necessary for a complete installation including: modules, power electronics, and mounting kits. Products offer high quality, reliable power generation for residential, commercial and industrial applications. Commercial HVAC Roof Top Units. Retro Fit them & Subcool it. 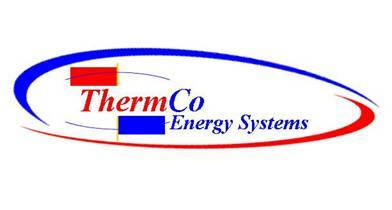 Geothermal Heat Pump Systems are now available. We have a full line of GeoCool and Miami Heat Pumps geothermal systems. Vertical and horizontal systems from 1/1/2 ton to 20 tons for residential and commercial. Rain Water Harvesting systems are more popular than ever. With the rising cost of water and sewer bills homeowners are utilizing rain water collection systems. Cities charge the same for sewer uses even when you water your yard and not discharging into the sewer system. We have Complete Kits with or without pumps. Air Conditioning Systems We have a full line of Mr Cool Split systems and packaged units. Also Mini Splits.